SEA LIFE Sunshine Coast, located in central Mooloolaba in the heart of Queensland's famous Sunshine Coast region, is the area's top attraction for the family. We have 11 fantastic themed areas in our aquarium along with amazing talks, feeds and seal presentations every day - the best part is that they are all included in your admission price! 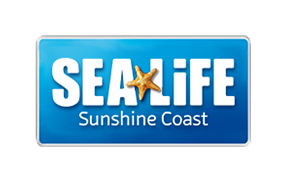 For more information on what you can discovery at SEA LIFE Sunshine Coast, please visit here. We strongly advise guests to pre-book their tickets to guarantee admission and save up to 20% when booking tickets!